Proceeding in German history I told my language exchange partner about the holy roman empire, which he was eager to learn more about. 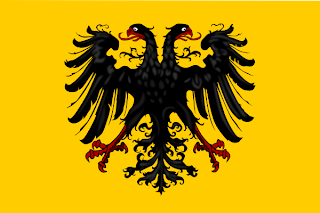 The Holy Roman Empire Of The German Nation was a union of territories in Central Europe lead by a Holy Roman Emperor. The Holy Roman Empire extended itself over present day Germany, Northern Italy, Burgundy, Austria, Switzerland, Netherlands, Liechtenstein, Luxembourg, Czech Republic, Slovenia, Belgium and large parts of France, Souterhn Italy, Poland. Despire the name, the city Rome was not part of the Empire. The name symbolized the attempt to revive the west roman empire, which ended with Romulus August in 476. Although Pope Leo III crowned Charlemagne and his son Louis The Pious as Holy Roman Emperor, the imperial office got never formalized. The actual name changed very often from 962 version Regnum Francorum Orientalium (Kingdom of the East Franks) to 1034 Roman Empire to 1157 Holy Empire to 1254 Holy Roman Empire to its final version in 1512 Holy Roman Empire of German Nation (German Heiliges Römisches Reich deutscher Nation; Latin: Sacrum Romanum Imperium Nationis Germanicæ). Since not only the name, but also the territories and status constantly changed, historicians had a lot of trouble writing about "Germany". In one example Severinus de Monzambano brings it to the point: "Nihil ergo aliud restat, quam ut dicamus Germaniam esse irregulare aliquod corpus et monstro simile ..." ("We are therefore left with calling Germany a body that conforms to no rule and resembles a monster"). ...it was custom for kings of the Carolingan dynasty to divide their empire among the sons, which lead to great loss in territories and power. The last king loyal to this custom was the father of Germany and France Charlemagne. However he was survived only by one son, Louis The Pious, and therefore gave his whole emipre to him. Louis however saw the weakness of this tradition and broke with it giving the whole empire only to one son. This however lead to a lot of civil wars and a final partition of Charlemagne's empire in 834. 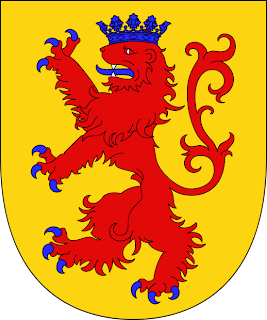 The title and original part was given to Louis eldest son Lothar I, while the split of part became known as Eastern Frankish Kingdom. Henry I the Fowler became the first crowned king of the Eastern Frankish Kingdom and was the first one not of the Carolingan dynasty and founded the Ottonian dynasty naming his son and successor arcordingly Otto I (He was only later called Otto the Great). Otto was married to the widowed queen of Italy, which effectively added Italy to his empire. 962 signified a turning point in history, when the Pope decided to give his blessing to Otto I of the East Frankish Kingdom, instead of the West Frankish Kingdom acknolowding Otto's rule and power. Because of this blessing Ottonian kings saw themselves as successors to Romulus August and to the Old Roman Empire. However since the East Roman Empire still existed and the real Roman Emperor ruled from Constantinopel, they decided to abide from the name, not to provoke him. of the empire. However Conrad II being a less strong character, the dualism and quarrels between the king and the territories constantly increased. When Henry IV came to power the escapade peaked, when the pope declared a ban on Henry the IV. Although this ban was rebuked in 1077 during the Walk To Canossa, it constantly weakend the position of the German king. Because meanwhile the dukes had appointed a new king "Rudlof From Swabia", which waged war against Henry IV. Henry was able to win after 3 years in 1080 but his title and power were weakened from then on. 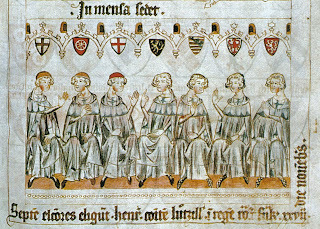 The last Salian emperor was Henry IV son Henry V.
With the dynasty so weakened the Hohenstaufer, originally a clan holding high offices under the Salians, overtook their masters and with Conrad III becoming appointed king in 1138 introduced the Hohenstaufen Dynasty, which was able to effectively restore the empire under new conditions in the Concordat Of Worms 1122. The great king Barbarossa (Frederick I) 1152 first called the empire holy. With Barbarossa the idea of the people seeing themselves as successors to the great Romans culminated again. This seemed to be an attempt to justify power independent of the strengthend pope. In this thinking it was also tried to revive Roman Law over the empire. Of course these laws were written for a completely different world, yet it was the first attempt to get a legal constitution (Roncaglia). This was effectively an attempt to bind the stuborn German dukes closer to the empire. With religion and bishops taken away to maintain power over the dukes (separation from the pope), the Hohenstaufen kings devised a new strategy and intoduced ministerialia (ministers), free service men appointed to server for king and country. Starting from these offices later the kinghts were born, an important factor of imperial rule in the mid ages. Another attempt to spread power within the empire was the foundation of new cities. For once this was done to account for the population explosion, but also to spread the realm of influence and to cover important strategic points. The same strategy was followed by the king and the dukes the same. While most Hohenstaufen emperors struggled with each other for the title, mainly Barbarossa and his son Philip of Swabia and Henry the Lion and his son Otto IV, the last king of the Hohenstaufen Frederick II went an entirely different route. He did not struggle for power and ruled from sicily. When he was crowned king he suddenly claimed posesion of Rome, which lead to a ban by the pope. Most surprisingly he successfully lead a crusade in 1228 taking possession of Jerusalem. But he also lead to the empires downfall. For once he focused much of his attention on sicily, where he established a modern state with public services, financing and othe reforms, on the other side he gave great priviliges and powers to the German dukes to bind them to him. Privileges that could never again taken from the central power again, peaking in a ducment of 1232 which officially declared the dukes owner of their lands (domini terrae). In this time also significant is when Konrad of Masovia invited the Teutonic Knights 1226 to christianize the Prussians. Also because of the long focus on Italy, the German dukes extended their own reamls and power and eventually took possesion of Slavic territories Pommerania and Silesia. After Frederick II died in 1250 the Hohenstaufen dynasty ended and the dukes appointed several competing kings. This period is often referred to as Interregnunm and lasted until the election of the king Rudoplh I from Habsburg 1273. In this time much of the imperial power was lost. This struggle evetually lead to an agreement in the Golden Bull 1356, that only certain Kurfuersten (Archdukes) were allowed to cast a vote for the new king. Also all kings after the Hohenstaufen dynasty had to maintain their power differently. Until Frederick II the Emperor had its own lands (Reichsgut) and own cities (Reichsstadt), but during the Interregnum these were taken from the dukes. Instead staring with Rudoplh I from Habsburg, kings started to rely on their own dynasties for support, which were much easier to control. With Rudoplh I from Habsburg the Habsburg dynasty was started and the first to regain control over the empire after the Interregnum. Rudolph I thus gave the territories of Austria and Styria (parts of modern Austria and Slowenia) to his own sons for support. Another change under the Habsburg dynasty was that money increasignly took the role of duties and economic value and gained much in importance. Peasants were increasingly required to pay tributes in money for their lands. Although some attempts to make a constitution were made over time (Roman Law, Golden Bull), it was still largely unsettled at the beginning of the 15th century. It therefore proved fatar when the two consecutive kings Sigismund of Luxemburg and Frederick III of Habsburg neglected the old core lands and only concentrated on their own lands. Without the presence of the king the old institution of the Hoftag (an assemply of the empire's leading men) deteriorated. This lead to quarrels and even wars of dukes against each other within the empire. On the other side also the church was into a great crisis. Two competing popes were appointed and when this struggle was finally resolved in the Council of Constance 1419 a new Christian belief challenged the old Catholic rule with the Hussits, which postulated much attention from the church to be fought. In 1517 Martin Luther initiated the Reformation and started a fire leading to the partition of the old Catholic Christianity in Catholic And Evangelists (Protestant). This changes going along with a political struggle for more power of the dukes, since the power of Emperor Charles V was declining, lead to the parition of the empire with North / East becoming protestant and South / West remained catholic. However while in Europe several wars were lead because of this new faith, Germany remained relatively quite from the peace of Augsburg 1555 until the Defenestyration of Prague 1618 leading to the thirty years war. This became the worst German war until the world wars, where 1/3 of the German population was killed. The main conflict was waged on religious reasons, but of course the true motifs were the hunger for more power of the dukes. What made this war so bad was the intervention of foreign powers like France and Sweden who supported several dukes against the imperial rule, while taking large chunks of the empire for themselves. This war devasted Germany to an incredible extent, which it was never able to recover from. It never found back to its former strength. The Peace Of Westphalia 1648 which ended the 30 years war gave the territories almost complete sovereignity. The Habsburg Emperors became powerless figures, a name only and therefore concentrated only on their own estates in Austria and elsewhere. The Swiss Confederation (which existed since 1499) broke off completely and became independent. The Northern Netherlands left the empire and formed the modern Netherlands / Holland. The rise of Louis XIV the sun king. The dualism between Austrian and Prussia that dominated the history of the empire since 1740. At this time Habsburg emperors were completely dependent on the archdukes of Austria to counter the rise of Prussia. Throught the 18th century Habsburg emperors were used in various European confilcts as the War of the Spanish Succession, the War of the Polish Succession, the War of the Austrian Succession and so on. The empire was formally disolved 1806, after it was first tuckled by the revolution france followed by a military defeat against Napoleon. The last Austrian Emperor was Francis II, who abdicted 1804. Francis' dynasty was able to maintain control over Austrian and Hungary until the Habsburg empire was completley disovled after World War II in 1918. Napolean turned the empire into several confederations he took control of. Later his rule was replaced by the German Confederation lead by Prussia which eventually developed into the German Empire. 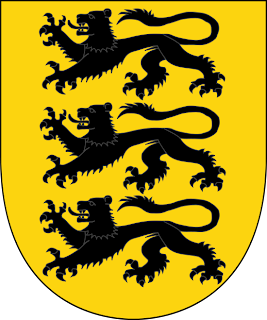 Liechtenstein claims to be the last surviving remnant of the Holy Roman Empire still having a Habsburh dynasty monarch ruling over the country.